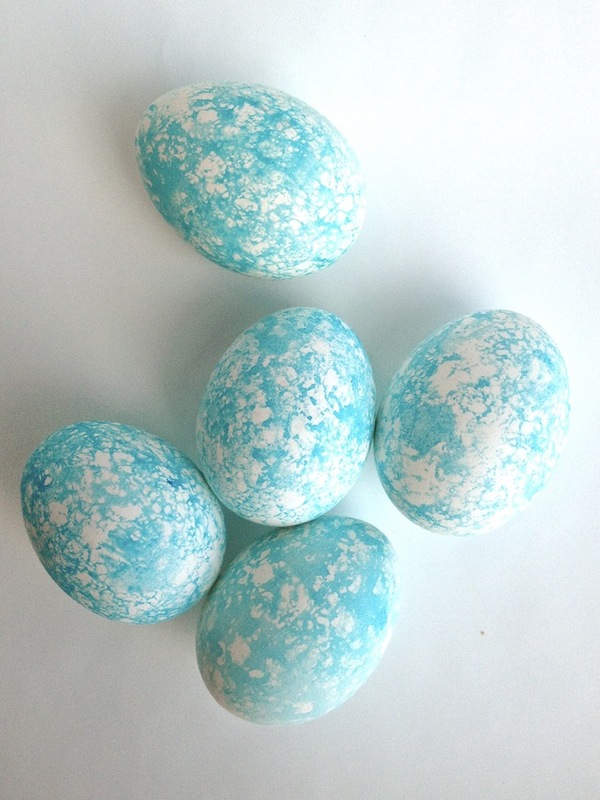 The Easiest (Last-Minute) Easter Egg: How-To Decorate Eggs In 5 Mins! / Hey, EEP! 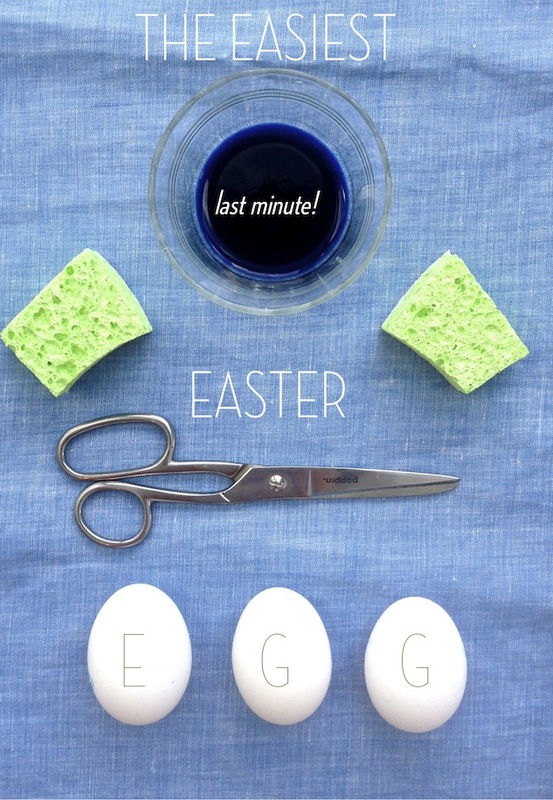 The Easiest (Last-Minute) Easter Egg: How-To Decorate Eggs In 5 Mins! 1. Put a few drops food coloring in a small glass dish. Add a small splash of water. 2. Cut 1 sponge into squares using scissors. 3. 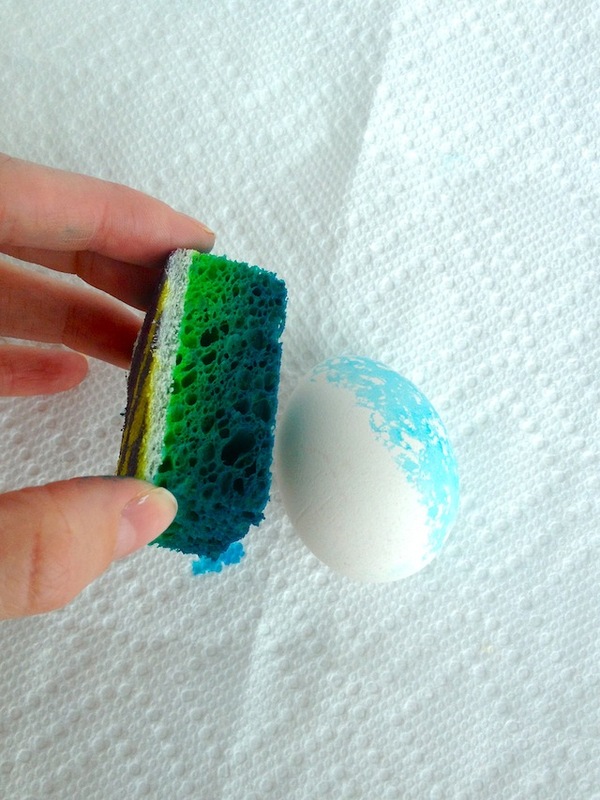 Dip a sponge in the dye and dap on paper towels to remove excess liquid, then dap all over 1 side of the eggs. 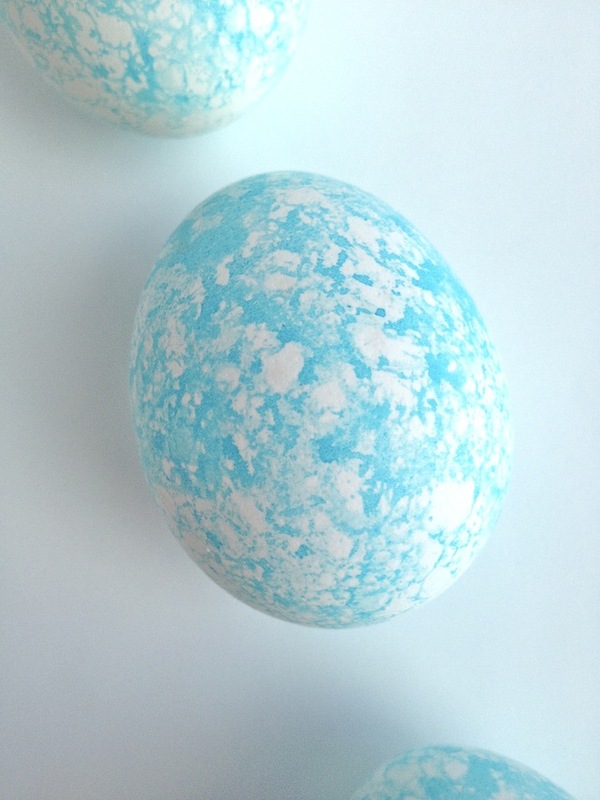 Let dry 2 minutes, flip over and dap the undecorated side.